Rock n’ Rolling | AYAH! Get rolling in Sacramento! 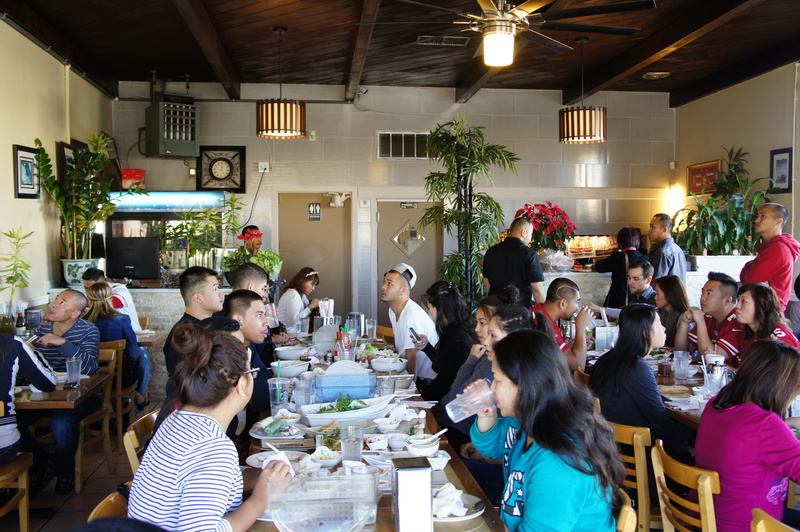 This is one of my favorite spots to go for Vietnamese food. 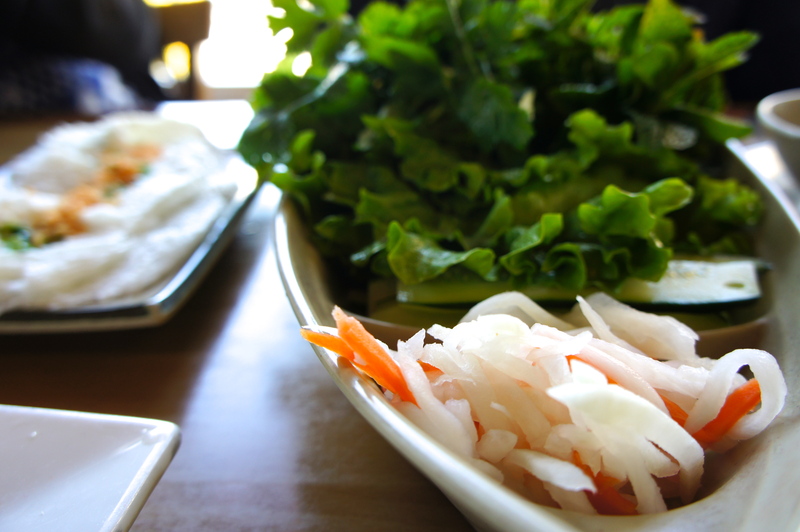 Quan Nem Nihn Hoa offers spring roll boats, with all the ingredients to roll your own spring rolls. It comes with lots of herbs, lettuce, cucumber, pickled veggies. Pack it full of meat: pork, fermented pork (in the foil), fish cakes. 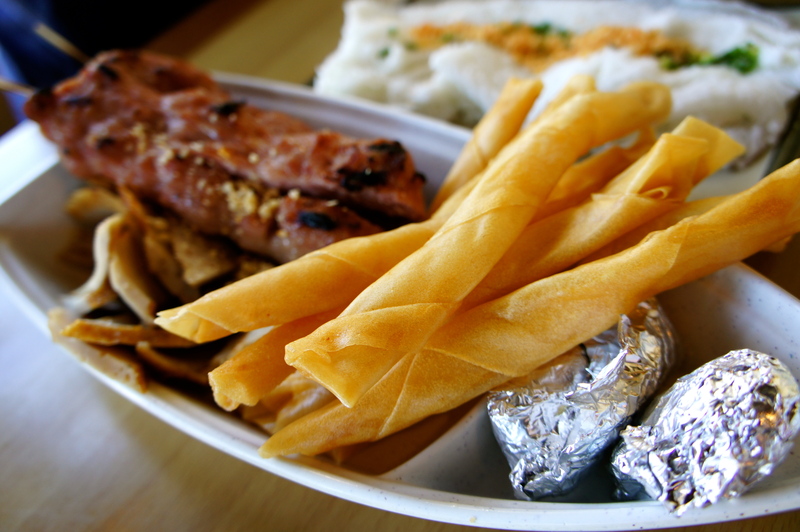 Then top it off with the delicious fried rice paper rolls and you’ve got yourself a fat spring roll doobie. Dip it in the sauce and it’s a burst of flavor and textures in your mouth. It’s best enjoyed with lots of friends and as little utensils as possible. The restaurant is generally pretty packed. Look at all the Asian people: that’s a good sign. 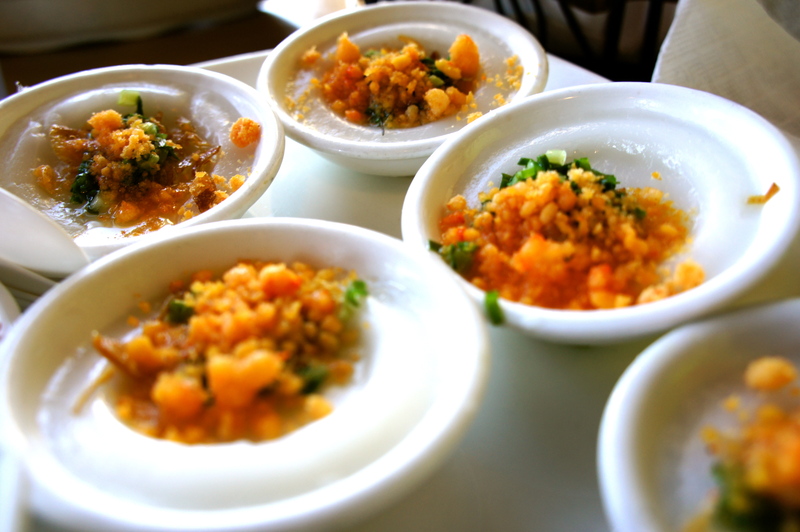 They also offer lots of other fun dishes like these cute little bites topped with dried shrimp and scallions. 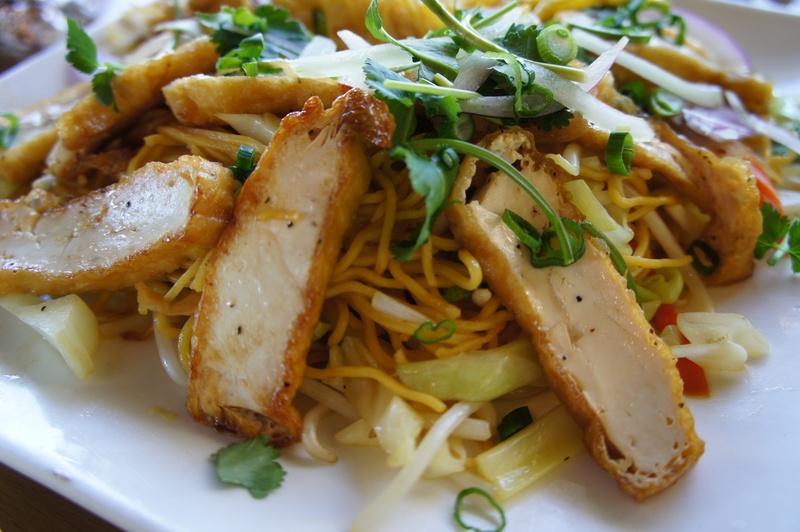 And the vegetarian dishes are very flavorful, like this tofu stir-fry.